Ravine Vineyard Estate Winery is biodynamic and organic winery Ravine opened in 2008. The winery is owned by the Harber family. Also known as the Upper Lowrey Farm, the family has milled, farmed and canned fruit at Ravine for 5 generations. The farm is known to be one of the first commercial grape vineyards in the area with 500 vines planted in 1869. Located on a lush rolling hillside farm in the Village of St Davids. There is a rich history to be told about the farm and the buildings of Ravine Estate. 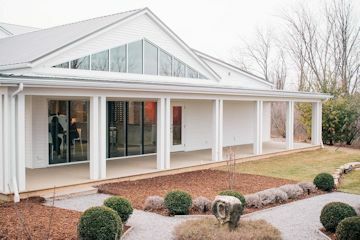 The home in which the tasting room and hospitality centre of Ravine Vineyard is located is considered to be one of the top fifty most architecturally significant houses in all of Canada. The winery is housed in a heritage home that dates back to 1815. The building has been painstakingly restored and is set amidst our lush rolling vineyards. The property has 34 acres in what Ravine's owns says is the warmest section of the Niagara region; by almost 20percent. In fact, the property is actually an anomaly. The soils are lighter, its airflow and water drainage are more consistent, and its position on the Bench is at its highest elevation. Ravine Vineyard won The Lieutenant Governor’s Award for Excellence in Ontario Wines for their 2010 Reserve Chardonnay. The winning wines were announced on Friday June 27, 2014. Cider is laso produced . Winemaker consultant Bruce Gamble. this is another project of Moray Tawse owner of Tawse winery. 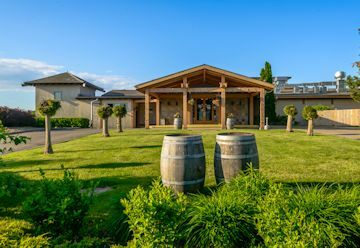 Reif Estate Winery opened in 1982 with a commitment to combine time-honoured tradition with modern technology. 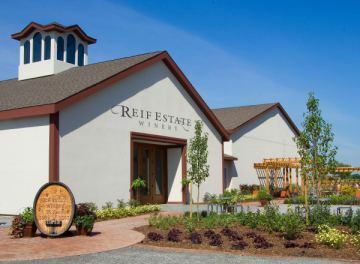 Wines produced at Reif are truly estate bottled. With 135 acres of vineyards, use only their own grapes to produce premium quality wines. 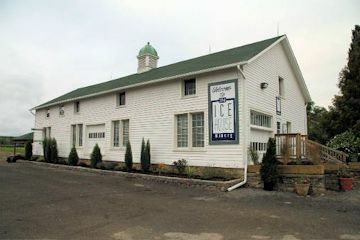 A winery known internationally for its icewines . There wines are aged in authentic oak casks in underground barrel cellars When a winery puts that much emphasis in the vineyard, it requires a great deal of skill and expertise. Klaus W. Reif, President of Reif Estate Winery has a degree in viticulture as well as oenology and is sincere in his belief that fine wines can only be made from excellent ingredients. At the 7th International Wine Competition in Verona, Italy, Reif Estate Winery won the prestigious Vinitaly 1999 Special Award for the highest scoring winery of Canada. This award can only be received providing that at least 3 of the wineries wine entries have reached the minimum score of 80 out of 100 and that its country of origin has contributed at least 20 contestants to the competition. In 2015 they launched River Road Cider. Philosophy: Klaus Reif's philosophy that 'Great wines start in the vineyard' is the corner stone of the quality and integrity of Reif Wines. This belief partnered with a commitment to produce predominantly estate bottled wines from our 125 acre vineyard has provided our winemaker Roberto DiDomenico with the tools to produce world renowned wines. Klaus and Roberto also believe that over time a vineyard will express its 'Terroir', loosely translated as 'a sense of place'. Many agree that as a vineyard matures it's personality or characteristics of climate and soils will be expressed in the wines over time. We believe Reif's terroir is best expressed by the wines produced in the First Growth Collection which are produced from our oldest vineyard blocks. 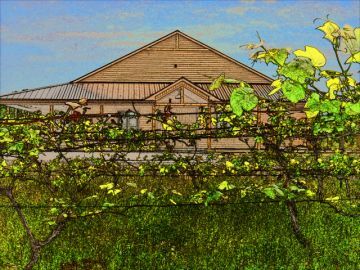 Rennie Estate Winery (virtual) is a new label born in a joint venture between Angel's Gate Winery and grower Graham Rennie, who owns Heron Pond Benchland Vineyard east of Beamsville. Planted in 1998 this maturing fifty acre site is focused on classic bench varieties like chardonnay, pinot noir, cabernet franc, with some merlot and cabernet sauvignon as well. 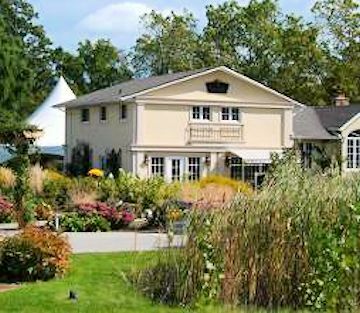 Philosophy: Rennie Estate Winery is a small, family owned, artisanal producer, specializing in crafting Super Niagara Bordeaux blend wines and dedicated to the vinification of single vineyard Chardonnay and Pinot Noir wines. Our cool climate site naturally produces fruit with bright levels of acidity which results in wines that express fresh fruit flavours, and complex aromatics. A small family winery perched on the rocky edge of the Niagara Escarpment's upper bench. They produce Bacco Noir, Cabernet Franc, Riesling , unoaked Chardonnay and Vidal along with blends. The winery is owned by Jayne and Sean Douglas The name was choice as they are on Ridge Road, they liked the alliteration and the fact that it clearly identified our location. The farm has been in Jayne's family since 1875 after consultation to see if the land could be used to grow grapes they purchased the property from Jayne's Grandmother . The farm was purchased 1994, the land was cleared and grape planting begun. For 10 years the grapes were sold to amateur winemakers and small wineries. In 2007 they fermented their first commercial vintage which consisted of Cabernet Franc, Baco Noir, Chardonnay, Vidal and our Vineridge Blend. The retail store opened in September of 2009. Philosophy:Hand Picked, Hand Sorted and Hand Crafted. That is a slogan that we use regularly and is the philosophy of our winemaking. We will always keeps our volumes relatively small in order to be able to give each batch the personal attention it needs to meet our standards. We also use only locally grown grapes and base our production from any given on year what we think will make the best wines (i.e. in cooler years we will only make Rose from our Cabs). 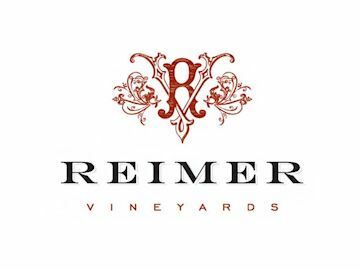 In 1987 Reimer family started planting Chardonnay and Johannesburg Riesling vines, each one lovingly planted one at a time Over the years, more varieties were planted: Pinot Noir the following year in 1988, Gewürztraminer in 1992; Gamay, Cabernet Sauvignon and Cabernet Franc in 1997; another block of Chardonnay in 1998, a second block of Gewürztraminer in 2002, with Chambourcin being the most recently planted in 2006. In 2008 they took the jump from amateur winemaking to a full time winery. Stay in the vineyard in the Reimer Cottage one-storey air-conditioned cottage accommodates 6-8 people comfortably with everything you'll need for your stay. It features three bedrooms, a fully equipped kitchen, bathroom, spacious living room, fireplace, TV, DVD player, laundry facilities, linens, and a rear deck overlooking the vineyards. Philosophy:Our Nebbiolo is unique among the wines of Ontario. We also produce premium and ultrapremium VQA Ontario wines from estate-grown Cabernet Sauvignon, Cabernet Franc, Pinot Noir, and Merlot grapes. 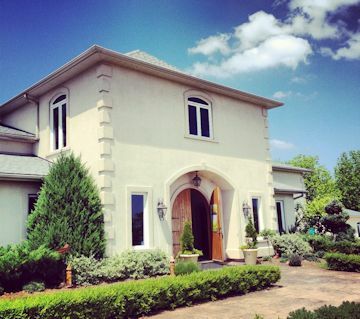 A family owned ( Sam and Lina Pillitteri ) winery located on the Niagara Parkway in Niagara-on-the-Lake. The family has farmed here since the 70's operating a fruit market. Grapes Gewürztraminer were first planed in 1992 The farm was slowly converted into a full-scale winery. A small crush during the 1998 harvest resulted in about 50 cases of wine and was released in September of 2000. In the early days they operated as a Farm-Winery, however, in 2004 they received their Estate-Winery license. Current output ranges annually from between 5,000-8,000 cases annually pending weather. The fountain logo symbolizes life and purity of spring water. Specializing in premium VQA wines and icewine, producing high quality Vidal Icewine. Their wine shop also doubles as a country market featuring local produce. Signature wines are Bianco which is a suss-reserve white wine (often a blend of Riesling and Gewürztraminer), and "Rosso" a rich, fruity red wine (a blend of Cabernet Franc/Merlot). Philosophy: We remain committed to crafting distinguished wines with an honest sense of place. We believe that when you truly respect the vineyard, your wine sincerely reflects the land. Located on the Twenty Mile Bench sub-appellation of the Niagara Peninsula. In "Le musèe du vin", winemaking is brought to life. On location at Rockway Glen Golf Course and Estate Winery resides Canada's only wine museum*. It has been designed as an authentic cav a vin housing antiques from the vineyards of France. The wine cellar and museum display accoutrements hail from the wine making regions of Alsace, Champagne, Burgundy and Bordeaux. Tours of the museum can be arranged by contacting the office and include wine tastings to complement your journey "from the vineyard to the cellar". Renata and Eugene Roman purchased 40 acres of land in 2000 on the the Beamsville Bench. Their goal was to start a small-batch artisan winery and meadery. As they love roses and have wonderful woods on the property the winery was named Rosewood. The main Renaceau Vineyard, on Mountainview Rd has been planted with vinifera grapes starting in the year 2003. These grapes are: Cabernet Franc, Merlot, Pinot Noir, Chardonnay, Riesling, and Semillon. Spring of 2008 will mark the first release of the 2006 wines to the public. They are currently working on opening the new Haut Roche Vineyard in Jordan. Philosophy:We understand great wines reflect their terroir, vintage and personality and have a level of quality that arises from a deep understanding of winemaking techniques and premium grapes. We strive to produce elegant and delicious vineyard-driven wines, with the multi-dimensional qualities to call your senses to attention. Our winemaking is inspired by old world philosophies and complemented with modern new-world techniques. We use the best technologies available that are best suited to the vineyards and microclimates found in Niagara’s unique growing environment. Formerly Stonechurch. The winery changed their name to Small Talk in 2013. They still use the Stonechurch Brand. The winery is open year round with self guided vineyard tours. Their bottle design and labeling is extremely well done. A few years back the community was building a church of stone, construction was halted due to lack of funds. The landowner at that time mortgaged his land to pay for the building thus the name Stonechurch. Winemaking Philosophy: We grow quality grapes and use modern technology to make superb wines which reflect their varietal character. Together with winemaker Derek Barnett they developed wines to complete with the worlds best. Originally located in Maples north of Toronto, Southbrook began producing wine in 1992. Their Framboise wines have captured the world and can be found at Harrods in England Southbrook Chardonnay 1994 was served when Canada's Prime Minister hosted Her Majesty The Queen and His Royal Highness the Duke of Edinburgh, June 28 1997. Brought on as a winemaking consultant in 2005 Ann Sperling introduces Bill and Marilyn to an excellent opportunity. A 74-acre parcel in the warm Four Mile Creek sub-appellation of Niagara-on-the-Lake is on the market, complete with 36 acres of ideally planted, well-selected varieties and top-notch clones. The couple realizes its potential, and decides on the new location to build the winery of their dreams. They convince Ann Sperling to sign on as full-time Director of Winemaking and Viticulture. 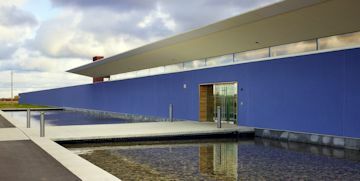 The design of a winery with associated facilities and a hospitality building was entrusted to Jack Diamond of Diamond and Schmitt Architects of Toronto. The design has won numerous awards. In 2012 received the Elsie Award for their high commitment to the environment. They now make cider. Their Wild Ferment Apple Cider was highly praised by the Golb and Mail. The cider employs juice from Nova Mac, Liberty, Nova Spy, Goldrush, and Pricilla apples harvested at Avalon Orchards, a certified organic orchard in Innisfil. Philosophy: "winemaking is an art, allowing the flavour inherent in the grapes to express themselves to the fullest"
The winery was founded by Jim Warren in 1985, who held the position of President and Winemaker until 1999 The original location of the winery was on Ridge Road in Stoney. 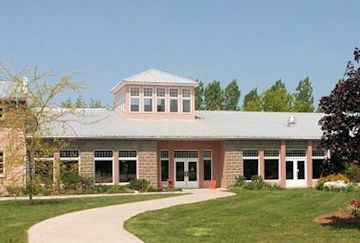 Stoney Ridge moved to its present location in Vineland , Ontario in 1995. The location was chosen based on its position on the Wine Route, the availability of land for planting Pinot Noir grapes (the McGrade Vineyard, named after the original owner of the property), and the general availability of the property. In 2013, one of Canada’s best known radio and television personalities became the new owner of Stoney Ridge Winery Bob McCowan. Philosophy: Every winery is dependant on two key factors that contribute to its success. Firstly, the grapes used must be of the highest quality, produced from vineyards that have a terroir that reflects the unique character of the Niagara Peninsula , and thus provide a window through which to experience the soil and climate of the region. The next crucial element lies in the skills of the vintner, who through their experience, innovation and natural talent, can deliver the juice that becomes a wine which captures the essence of the region, while exhibiting the classic characteristics that have made the grape variety famous for centuries. 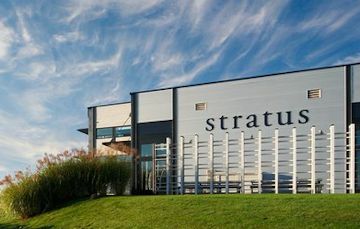 Canada's Stratus Vineyards is the world's first winery to be given the coveted LEED green certification. 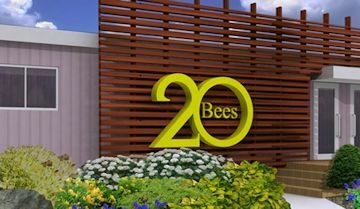 To qualify for the LEED, Stratus set up features and practices such as composting all plant waste materials, herbicide-free vineyards, energy-efficient electrical and plumbing systems, and toxin-free waste-management systems. Stratus also uses a hybrid, gas-electric vehicle for winery deliveries. The winery was also designed for making wine using the gravity-flow method. Philosophy: We believe that memorable wines are produced by paying scrupulous attention to the land, to the vineyard. There is minimal handling of both the grapes and the wine at every stage—minimal handling with maximum patience. The art of assemblage is the quintessence of winemaking. Assemblage refers to the crafting of several grape varieties to create layered wines of complexity, wines that are a true expression of the vineyard's terroir. Strewn Winery has restored a 1930's former fruit cannery into a world renowned winery having won over 40 medals and awards in its short history. Winemaker Joe Wills hails from Alberta, he worked in the BC Okanagan learning his craft then studied at Australia's Roseworthy College. The winery offers a wide range of wines and numerous tourist events. Strewn's red wines are made exclusively from Bordeaux grape varieties, the five white wines range from Gewürztraminer to Pinot Blanc and Icewines include Cabernet Franc and Vidal. Approximately 20% of the grapes come from Strewn's two vineyards while the rest are sourced within Niagara , mostly within 10 km of the winery. Owner and winemaker Joe Will is a graduate of Roseworthy Agricultural College in Australia and is especially skilled at crafting award-winning wines to enhance the dining experience. In 2012 Strewn received top honours at both the International Wine & Spirits Competition and International Wine Challenge winning both a Gold and Gold Outstanding medal for their 2008 Vidal Icewine. 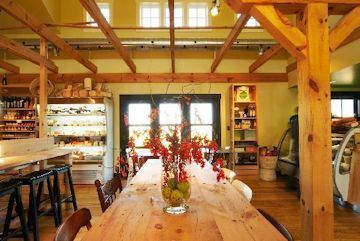 The scenic property is also home to the Wine Country Cooking School and Restaurant featuring wine country cuisine. Philosophy:	We're committed to making premium VQA wines from grapes grown in the Niagara peninsula. Opened late summer of 2009 by renowned winemaker Ann-Staff .The location was chosen for her over 200 years ago when Robert Staff moved here from Lincolnshire England in the late 1700’s. The Staff family has farmed this land for over 200 years while growing grapes for over 100 years. In fact, the original vineyard planted on the property is still in production today. The vineyard is on the Mile Bench 30 acres planted with more to come in the future. Producing right now is Riesling, Pinot Grigio, Cabernet Franc and Baco Noir. The immediate future has Viognier and Vidal added with Pinot Noir and Chardonnay to come. The "Staff Mountain Bell" is one of only 500 very a rare cold weather bells made in Birmingham England in 1869. Of the 500, 450 went to Russia and 50 were destined for Canada. This unique find has been in the Staff family for decades and bids a cordial "good bye" to group tour as they leave. The winery hopes to produce 6000 cases with in five years and begin global exporting. Wines are available in China and South Korea and soon in the EU. Philosophy : My winemaking philosophy is to vinify the most expressive wines possible from the grapes produced on our own vineyard. I believe that our small part of the globe is a stunning place to grow grapes that produce wines that truly reflect the terrior in which it is grown. All wines will originate from grapes grown on our estate. If it becomes necessary to purchase grapes, I will attempt to acquire them from vineyards as close as possible to ensure I am expressing the terrior of our location. 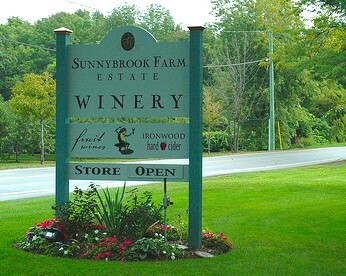 Sunnybrook Farm Estate Winery is Canada's first fruit winery, specializing in wines made from 100% Niagara Peninsula grown tree fruit and berries The winery is owned by Gerald and Vivien Goertz who purchased the farm in 1976. A small brook runs through the property. The farm initially consisted of 35 acres of peaches, cherries, plums, pears, and apples along the southern shore of Lake Ontario at Four Mile Creek on what was once a large river delta. The deep sandy loam soil and the temperature moderating effect of the Niagara Escarpment is ideal for growing the over 20 varieties of peaches produced on the farm. The winery was established in 1993. Gerald had been making wine, as an amateur, from tree fruit and berries and so it was logical that he make wine made from the fruit that he knows. Their best selling wines are Peach, Bosc Pear, Spiced Apple, Ironwood Hard Cider, and Chocolate Embrace. The winery appears to have been sold. Winemaking Philosophy: To make wine that reflects the true nature of the fruit that it is made from. 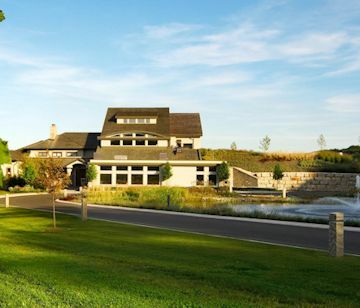 Tawse is a family-owned estate winery situated on the lower slopes of the Niagara Escarpment (Vineland Double Bench). 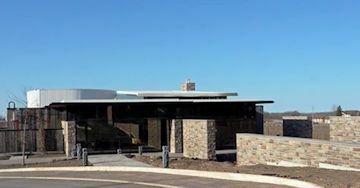 Tawse Winery opened its doors in the spring of 2005. Blessed with a hillside terrain, our winery features a unique six-level, gravity-fed processing system. The winery is named after the owner Moray Tawse. The first vintage was in 2001 when Deborah Paskus had the foresight to bring a sorting table to use on the fruit. Who knew at the time but it was the first year of the lady beetles and the sorting table not only eliminated the unripe and bad bunches but it also eliminated the the ladybeetles. Tawse was named 'Canadian Winery of the Year' by Canadian Wine Access Magazine in 2010, 2011 and 2012. Winemaking Philosophy: Using traditional artisanal techniques, combined with our state-of-the-art technology and natural geo-thermal energy, we carefully and skillfully process our fruit to bring out its individual characteristics. We take pride in the fact that our wines are handcrafted and limited in production . Much of this fruit comes from old-growth, low-yield vines, giving the wines great depth, richness and character. The primary focus is Chardonnay, they also vinify small amounts of Cabernet Franc, Pinot Noir and Riesling. 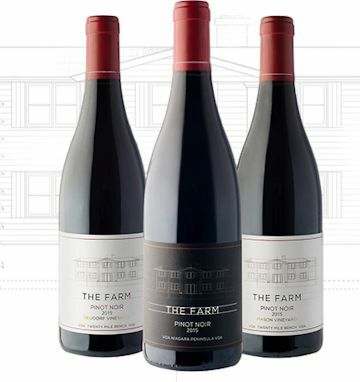 The Farm Winery is owned by the Neudorf family and sits on 10 acres of some of the best Pinot Noir in the Niagara region. The winery is producing a little over 500 cases of small batch Pinot Noir. Most of the grapes harvested at The Farm are used in the production of Domaine Queylus’s award winning wines but a small quantity is held back by the Neudorfs to produce The Farm Pinot Noir. Peter & Dora Neudorf are the owners. Not open to the public. After experiencing life in Italy Len Crispino, his wife Marisa, and their daughter Stefanie decided to start a winery. In 2000, with the kind encouragement of a dear friend, John Howard, they acquired some prime farmland in the Vineland area of the Niagara Peninsula. Then they sourced and planted 40 acres of Amarone-inspired vines. After three years of carefully nurturing the vines, the first crop was harvested in 2004. In the time-held tradition of Amarone, they delicately dry our grape stock in a barn until each of the varietals were perfect for winemaking. Phil Clarke of Glenn Elgin Vineyard Management is the Consultant Viticulturist. The new facilities were Designed by Frank Wieler and Associates, the building has some unique features that focus on providing an ode to the past — Niagara’s past. Reclaimed materials are used on the building exterior as well as the interior finishes paying homage to the heritage of our region, and the reclaimed brick on the exterior is more than 100 years old. Even the retail space was designed with the concept of making it look like a turn-of-the-century factory. There will also be some historic gems that will adorn the walls of the winery. Our mission is to create wines and winery experiences that celebrate and tell the story of the historical bounty of Niagara. The Hare, fittingly a symbol of fertility and good fortune, represents the prosperity and abundance of the region. 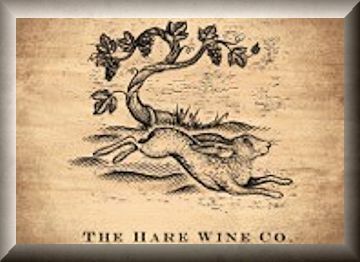 When you step into The Hare Wine Co., you will sense a shift in time to the founding days of this vibrant and flourishing region honouring its natural and abundant history. Located on the Niagara Peninsula near Queenston. Jamie Macfarlane, co-owner and winemaker had a vision to have a winery that specialized in icewine because he believed that this is the wine that Canada does best. He came up with the name long before he found the old run down peach barn that he and his team transformed to become The Ice House Winery. Co-owners are Jamie Macfarlane and his wife Karen King. This winery specializes in producing icewine. The Ice House Winery's 2005 Vidal Icewine, Northern Ice, was awarded the highest honour accorded wine – Grand Gold. at the 2007 Monde Selection in Brussels. Their success continued adding two more Grand Gold . 2015 Gold Monde Selection Winner - Vidal Icewine 2005. Philosophy: To produce the highest quality Icewine, Northern Ice . There is magic and romance about wine, says Jamie, as people come together around wine and food to enjoy each other's company. Over the years I've often been asked, 'What is the best wine you've ever tasted?' And, my answer is, 'The best wine is always about where I am and who I'm with.' The wine business, and certainly our love of this business is about celebrating and truly enjoying those moments of toasting life. Northern Iceis Canada's toast to the land." 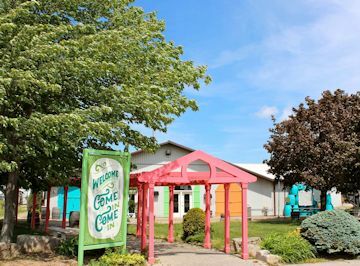 Located on the Niagara Peninsula near Thirty Mile Creek this winery began as a partnership in the late 1970's to grow grapes. In 1980 it expanded to 39 acres. Under the direction of Tom Muckle and Deborah Paskas their first wine (an icewine) was produced in 1992. 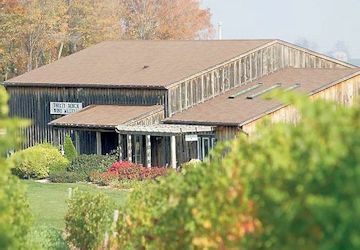 In 1980, a physician at McMaster by the name Thomas Muckle, bought an orchard in the Beamsville Bench and slowly converted it into what back then was known as Heritage Vineyards. Needing both physical and financial help, Dr. Muckle joined forces with Yorgos Papageorgiou and Frank Zeritsch, expanded the vineyard and all three men started experimenting with winemaking in small batches. In the early years they sold there grapes to other wineries until 1994 when they established their winery. Today the winery is owned by Andrew Peller Limited and focus on Riesling . 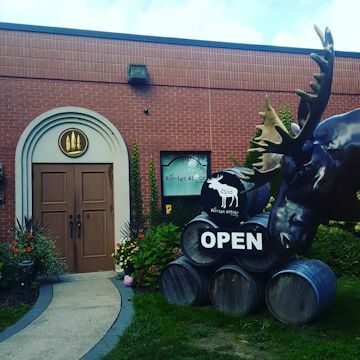 They won Best Small Winery of the Year at WineAlign's National Wine Awards of Canada 2015! Emma Garner was winemaker of the year 2015. Philosophy:We want to do our very best and we believe we can do it only if we have complete control of the entire winemaking process. In 1994 Andrés acquired Hillebrand Estates Winery. In 2012 they changed the name from Hillebrand winery to Trius at Hillebrand. Today Andres is known as Andrew Peller Ltd. Philosophy: Is to respect the classic character of each grape variety in this great wine region. At Hillebrand, we bring an unrushed approach to winemaking. We have learned, over the last thirty years, to listen to the vineyards, believing that they will tell us what is best for the wine. In 2007 experienced winemaker Kevin Panagapka decided to start is own wine company a virtual winery.. He rented space at a local winery and obtained grapes from his own vineyard on Twenty Mile Bench sub appellation. Grapes are sourced from the Featherstone vineyard, Falls Vineyard located in the Vinemount Ridge, sub appellation and the Queenston Road Vineyard a sub appellation of St. David's Bench. Kevin and his wife Jodie own a small Pinot Noir Vineyard in Beamsville. 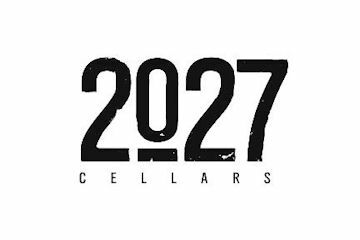 When the small vineyard was registered with the Grape Growers of Ontario, the registration number given was #2027, hence the name Twenty Twenty-Seven Cellars. 20-27 Cellars are focused on two varietals, Riesling and Pinot Noir. Philosophy: The philosophy behind 20-27 Cellars is based on the expression of distinctive terrior from each single vineyard. By meticulously managing the vineyards with the same techniques and care, each of the single vineyard wines showcases their own specific character. The winery is owned by two sisters Melissa Marotta-Paolicelli and Angela Marotta between them they have seven children hence the seven grapes on the logo. Our family is very hands-on and detail oriented so we took great pride in every aspect of Two Sisters Vineyards. From the emblem and the design of the labels, to the design and fine details of the winery, we all shared a vision of how we wanted Two Sisters Vineyards to be experienced by our guests. When people come to visit us, we want to enlighten all of their senses… taste, smell, visual and touch. The winery has done well in International wine competitions. The 2104 Royal Wine Awards gave them a Gold medal for 2013 Sauvignon Blanc, a Silver medal for 2011 Eleventh Post and two Bronze medals for 2013 Unoaked Chardonnay and 2010 Merlot. Two Sisters were recipients of a Gold Medal for 2011 Eleventh Post Proprietary Blend and Silver Medals for 2013 Reisling and 2013 Unoaked Chardonnay and Bronze Medal for 2010 Cabernet Franc at InterVin 2014. Adam Pearce, a Niagara College Wine and Viticulture graduate, leads the winemaking team with his low interventionist methods. Philosophy is to produce exceptional wines while staying true to varietal character and having the grapes speak for themselves. Our goal is to allow our unique terroir to shine through our wines. Philosophy:s truly represent the Niagara appellation, while following strict kosher laws. Vieni means come or welcome in Italian. Vieni Wines opened in 2013 with 175 acres; offering a range of whites, reds Icewines, and Charmat Method sparkling wines. Winemaker Mauro Salvador will also produce Grappa and spirits distilled from local fruits. 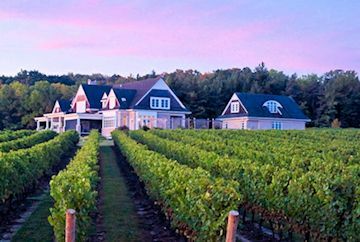 Located on the Niagara Peninsula Vineland is one of Ontario's most picturesque wineries. 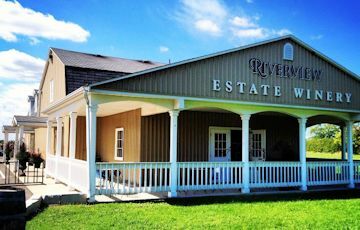 Vineland Estates Winery produces 47,000 cases of wine annually, the majority of which is made from estate grown fruit. Their wines include Sparkling and Icewines. The two most significant vineyards St. Urban and Bo-Teek are in the designated viticultural area of the Niagara Escarpment (Twenty Mile Bench sub appellation). 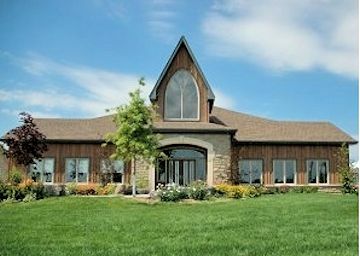 The third vineyard 16 acre Greenlane Vineyard is located in Beamsville. The underground barrel cellar showcases Vineland's history, but also allows us to enhance the winemaking process with an eye to the future. The cellar is home to our library, a living record of their thirty year history. This library houses vintages that date back to our first, in 1983. The winery features a AAA four diamond restaurant under the direction of Executive Chef Jan-Willem Stulp. There is also a B&B cottage so you can spend a night in the Vineyard. Transition and expansion is under way at the winery. All designed to improve the wine making facilities and provide a better experience for the visitors while on tour. The recipient of 2017 Canadian Wine Industry Awards ,Award of Distinction, which is regarded as the highest form of peer recognition within the Canadian wine industry, is the Schmidt family, of the Niagara Peninsula. Philosophy: Minimalist by nature. Every vintage is a new experience. The new Wayne Gretzky Estates Winery & Distillery in the heart of Niagara-on-the-Lake opened spring of 2017. 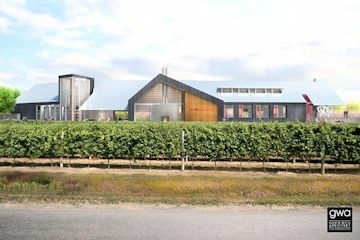 Nestled among the vineyards, the distillery will be home to state of the art distilling equipment, while the winery will feature a beautiful barrel fermenting and aging cellar and tasting room. The 23,000 square foot facility is the first of its kind in the region, featuring both wine and distilling production and tasting rooms. The springtime water feature that guests will see when the property opens will become an ice rink in winter, complete with a ‘loonie’ buried at centre ice, dropped by The Great One himself at the groundbreaking ceremony in September, 2015. Craig McDonald – Vice President, Winemaker. Craig has nearly two decades of winemaking experience, having made wines in Oregon, Australia, New Zealand and Niagara. His international exposure has afforded him the opportunity to experience 27 vintages, 16 of them in Niagara. Craig has been awarded Ontario Winemaker of the Year twice, once in 2008 and again this year 2016! 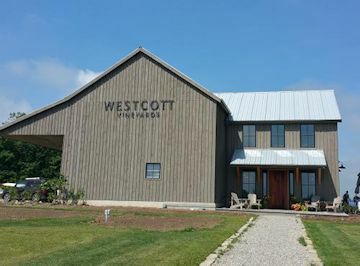 Westcott Vineyards winery is located in esteemed Niagara wine country within the Vinemont Ridge Sub-Appellation, just south of Jordan. Incredibly picturesque, the real beauty of the vineyard is in its primarily south facing slopes toward the 21 mile creek providing our vines with critical sun exposure for ripening fruit and well drained soils of unique composition which lend character. 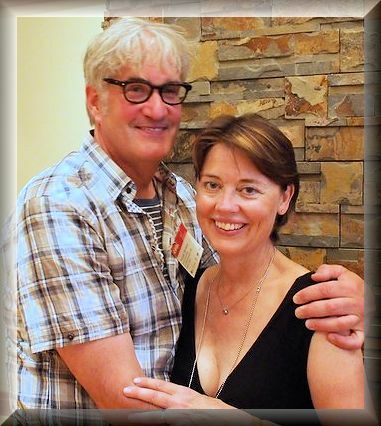 Carolyn Hurst and her husband Grant Westcott started the adventure in 2006 acquiring the vineyards as a new chapter in their lives; a simple way to transition from very successful management consulting, senior civil servant and information technology backgrounds into retirment and country living. 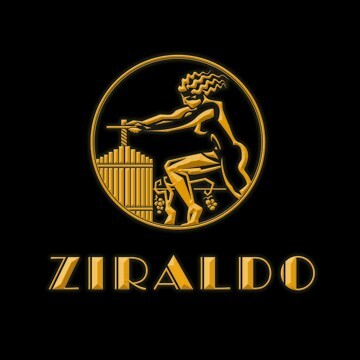 The Winery is owned by Donald Ziraldo. He produces only Riesling Icewine and table wine. It was the original site of the Inniskillin winery at SR #58 where Donald and Karl Kaiser started Inniskillin. The farm purchased was called the Inniskilling Farm, after the Inniskillin Fusiliers who fought in the war of 1812. Colonel Cooper was given the crown land after the war was over. The vineyard is 2 hectares producing 800 cases. Philosophy: the best Icewine possible with the characteristics of the regional "terroir"
At a social event in 1997, the four founding partners decided to build on the extensive grape growing and winemaking talent within the group, and created an enterprise that expressed their common interest in a good bottle of realistically priced wine. 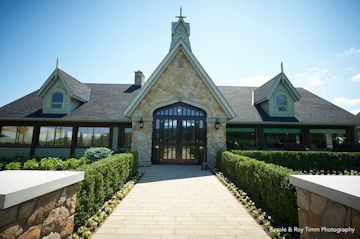 With the birth of Thirteenth Street Wine Corp. in 1998, came a new Niagara winery that specialized in small lots of estate grown and hand-crafted table and sparkling wines. Since the first bottle of wine was produced, the winery has been winning the hearts, minds and palates of wine media and consumers alike. The winery's resounding success through the first 10 years with hand-crafted traditional method sparkling wines, Gamay, Riesling and Chardonnay ensures these will make up the core of the product line into the future with limited releases of other small batch varietal and blended wines such as white and red Meritage, Syrah and Pinot Noir. To that end, significant investments have been made with the purchase of new, state of the art winemaking equipment and new estate vineyards, some of which were planted in the spring of 2008. 13th Street opened a new production, hospitality and retail facility in the summer of 2009 on 4th Avenue in St. Catharines. Current production is 20,000 plus cases total. In 2016 a new expanded tasting bar was built and additional production and warehouse facilities were added. The grounds of the winery features a permanent exhibit of spectacular sculptures. Philosophy: create exceptional wines that reflect the unique terroir of Niagara. Our goal is to deliver a pure expression of the varietal and vineyard character, while respecting the influences of each vintage and every wine that we make. 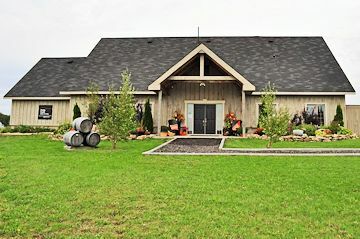 16 mile cellar is a small family-owned winery and vineyard located on 16 Mile Creek at the base of the Niagara Escarpment near the town of Jordan. Currently grapes have been planted across 16.2 acres of the properties 28 acre vineyard, including Pinot Noir, Canadian hybrids, and old vine table grapes, some almost 100 years old. 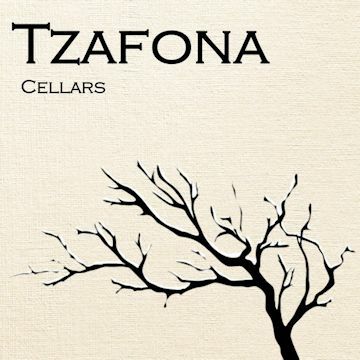 A virtual Winery owned by Kevin Panagapka a winemaker,viticulturalist and judge. 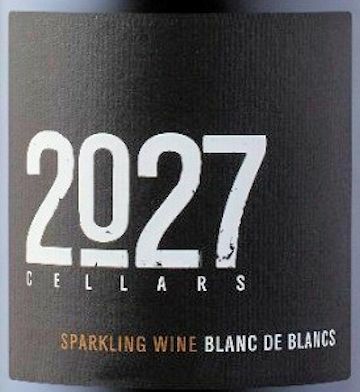 When the vineyard was registered with the Grape Growers of Ontario, it was assigned number 2027! The wines are made at Featherstone Estate.